Abundant Seas Foundation is dedicated to delivering engineered solutions for marine habitat restoration and marine resource sustainability. Abundant Seas Foundation is focused upon concurrent care for humanity, the planet, and the economy. The Foundation's mission is not to merely identify a point solution, as is the standard approach, but to systematically manage a solution field that accommodates the non-exclusive interests of the marine environment, global society, and sustainable enterprise. It is obvious that the world is suffering from man-made planetary problems including plastic pollution, sewage waste, chemical pollution, global warming, etc. 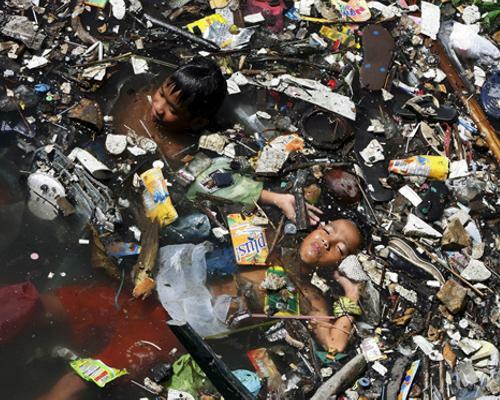 To solve these problems, Abundant Seas Foundation seeks to derive solutions from solid waste resources. The process by which we reduce our local solid waste to simultaneously remediate environmental disasters and create a condition for life to thrive is a triple win proposition. Therefore, as we extract pollution from the water and revitalize ecosystems, Abundant Seas Foundation believes developmental adaptive management will allow for continuous improvement in quantification, refinement, and the deployment of countermeasures. In short, the Foundation seeks to contain problems, and reduce the error bars associated with managing their solution field. Chemical pollutants in our oceans, lakes and rivers remain largely unchecked and uncontrolled, posing a direct threat to humanity and wildlife world wide. Dumped or leached into our waterways, these chemicals move up the food chain and have become a leading cause of birth defects, immune system disruption, cancer, infertility, neurological disorders, and other health consequences. Even indigenous peoples in the American Arctic, who are hundreds of miles away from any industrial center, have unknowingly accumulated so much of these chemicals that their mothers have toxic breast milk, which has resulted in an unhealthy generation of children. Abundant Seas Foundation is focused on improving environmental conditions by absorbing chemicals from water systems, as well as collecting highly toxic photo-degraded plastics that are being mistakenly consumed as food by wildlife.